Hello and welcome to my store! All of my artwork is traditionally hand drawn and then hand painted, to create a warm and inviting greeting card design. Hope you have a pleasant experience browsing through my selection and enjoy every design you purchase. Thank you for stopping by and spending some time with me! So many attractive designs! Congrats on sharing your wonderful talent with others! 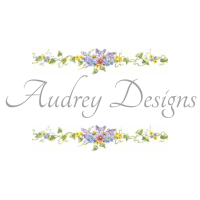 Audrey, your designs are absolutely beautiful! Watercolor is a favorite medium of mine and it's demonstrated so well on your cards. I just love your choice of colors for your cards, they are so beautiful. Very nice illustrations Audrey...Bright and colorful.. I could leave a comment on all these cards Audrey! Your skill, imagination and style combine to make some beautiful cards. your cards are perfectly exquisite. I love thedelicate work and beauty of each one, especially your eggs! Very pretty! Bright of GCU. You have some nice designs in your store. i love the beauty i your delicate artwork! wonderful colors and emotional tugs! spring like even the winter ones. :) Thank you for sharing your lovely creations with us here at GCU! Your cards are special and a delight to view! Hi Audrey, I think your artwork is pure, fun and so colorful. You are a very talented lady! Audrey, Your store is lovely and your cards are very professional. What a fun store to hang out in. Very sensitive and beautiful artwork. Your cards are beautiful. Gorgeous artwork!